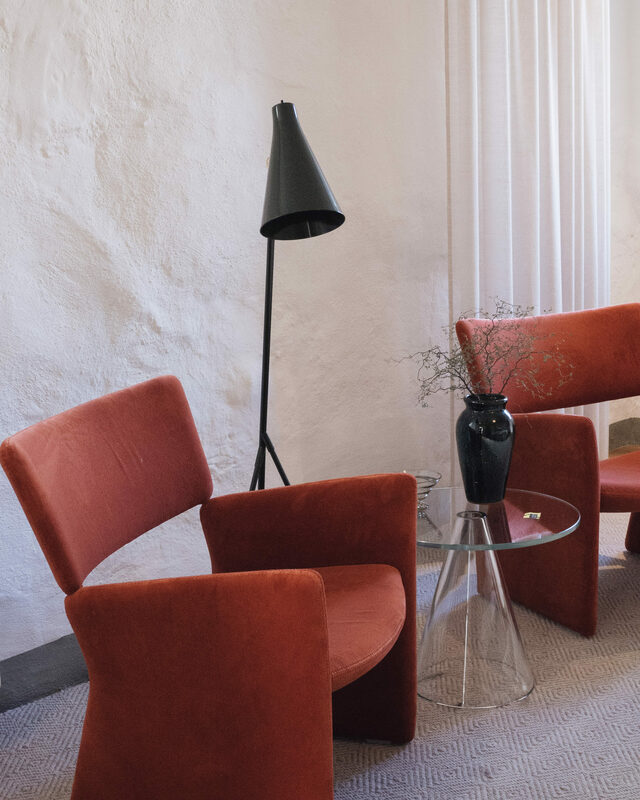 Last month, I visited Skåne in southern Sweden along with a small group of other influencers by Visit Sweden and Visit Skåne, with the aim to share the design aspects of this little discovered region of Sweden. I knew I would love Sweden, but I hadn’t expected to fall in love with it. Especially Wanås Estate (pronounced Vanoos). I almost sobbed when it was time to leave this wonderful place. A beautiful converted farm, tastefully decorated and uber stylish. 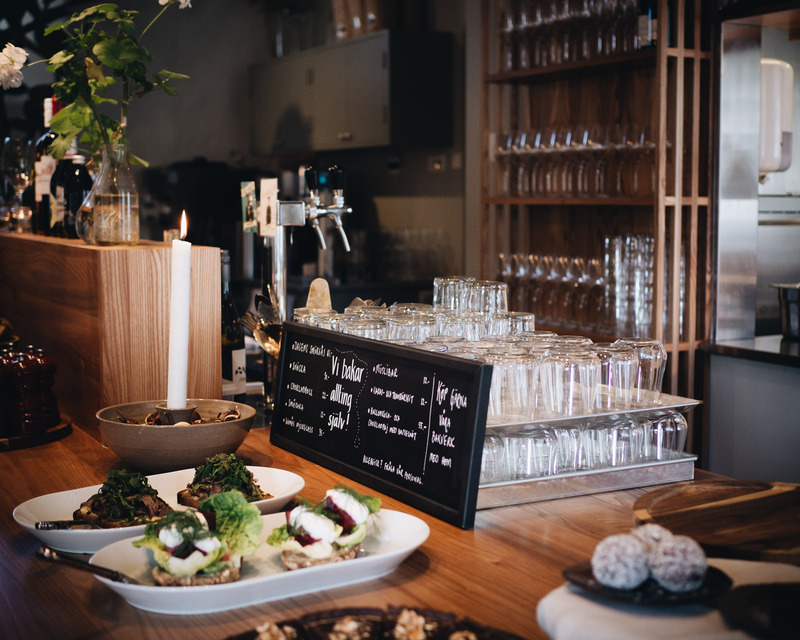 Visiting in autumn was the perfect time to visit, the light, the colouring trees and the warming foods served in their restaurant. Everything was heavenly. 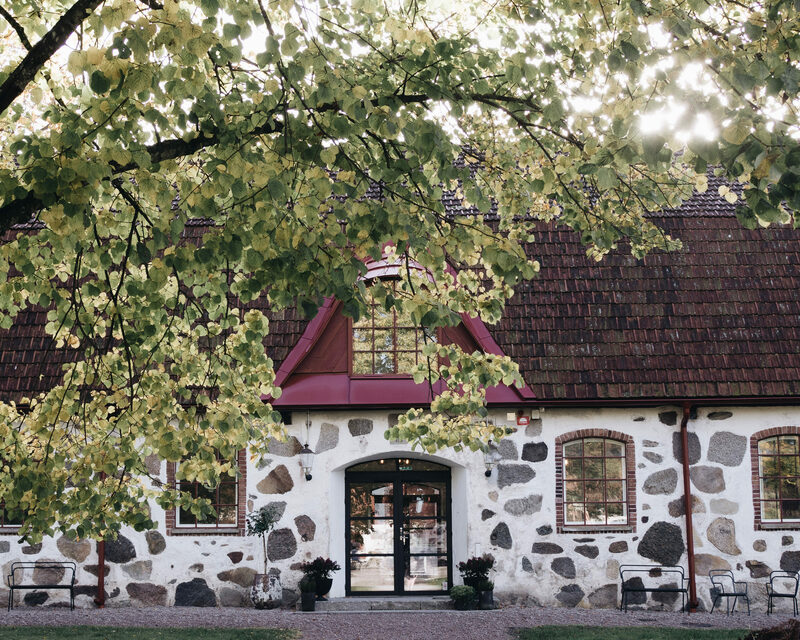 Wanås Hotel, restaurant and sculpture park is just under 90 minutes from Malmo, and sits centrally within the Skane region of Sweden. 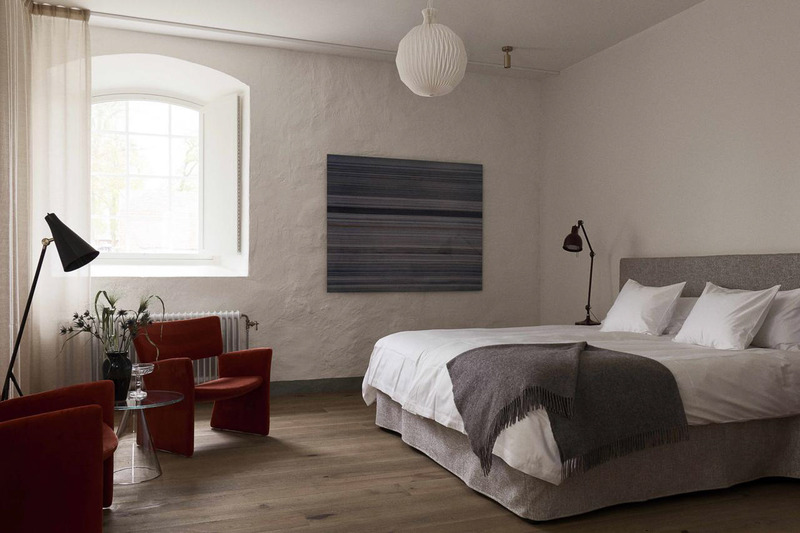 Surrounded by woodland and farmland, Wanås is a beautifully restored working farm, providing rooms for guests who wish to explore the area and take in the sculpture trail. 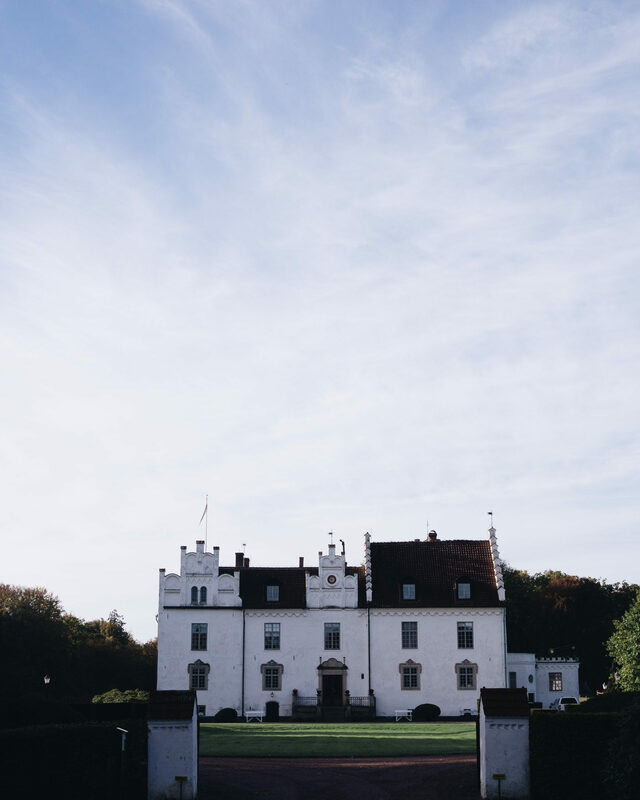 The original castle was built in the 15th century, and was inherited by the current owner Marika Wachtmeister in the 1980s, where she opened a sculpture park and art education centre in the grounds. She went on to establish a not for profit foundation – Wanås Konst. 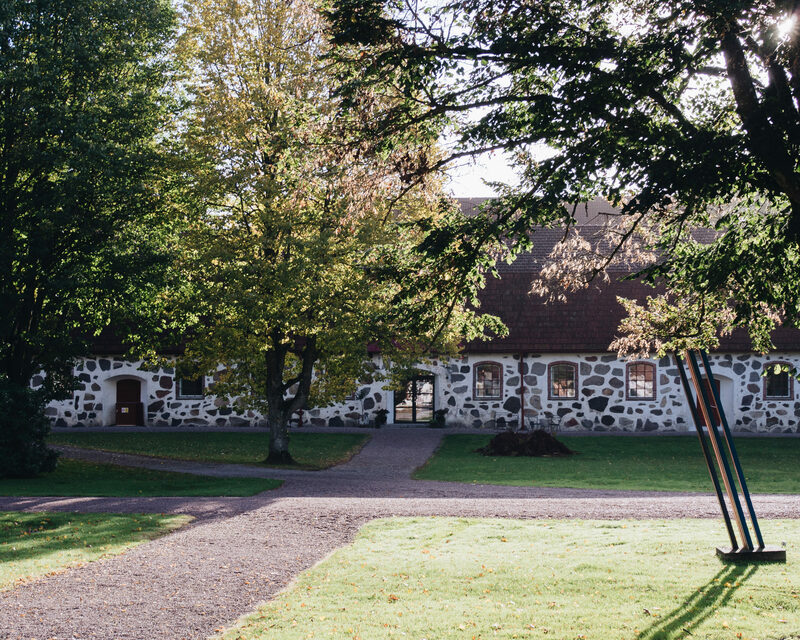 The permanent collection includes more than 70 site-specific works by artists from all over the world and is housed in the park, 18th century barns and farm buildings that surround Wanås Castle. 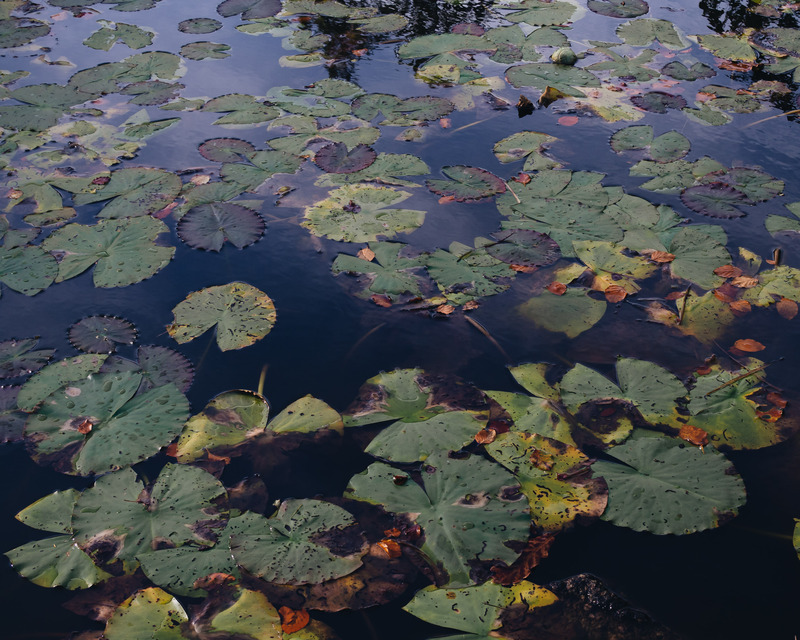 In addition, there is a program with temporary exhibitions, performances, artists’ talks, workshops and guided tours in the park and in the Art Gallery. 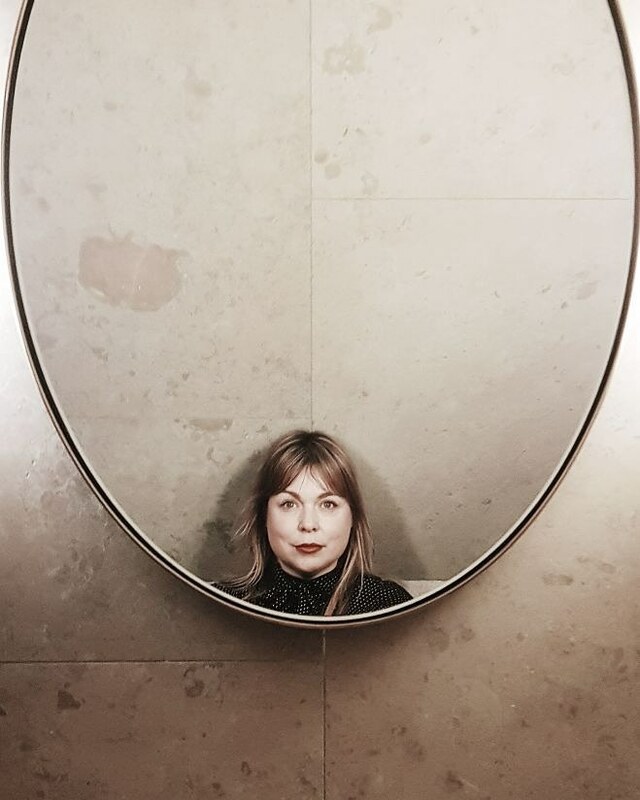 In May this year, Marika’s daughter-in-law Kristina, an architect, took over part of the estate and opened a hotel and restaurant making use of the farms barns and outbuildings. We arrived at dusk and were greeted to glowing candles and wood smoke. After a long journey we were keen to get into our rooms for a little r&r before dinner. 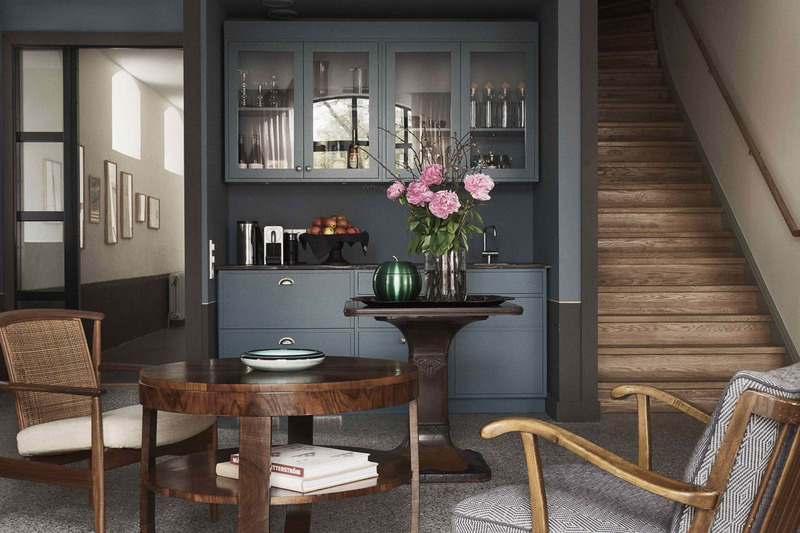 Oh what pretty rooms, simply decorated in calm colours, and minimal details. Perfect for the travel weary. 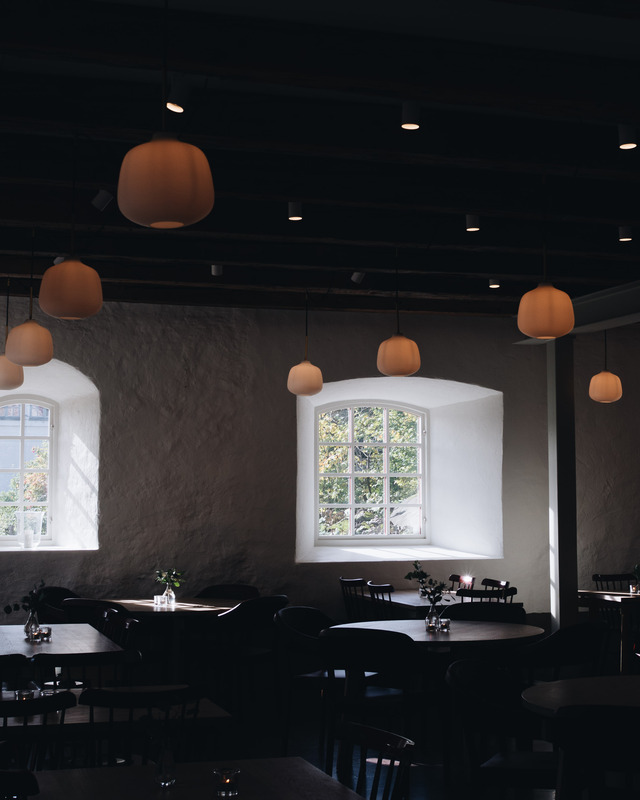 The hotel and restaurant are completely designed by Kristina. 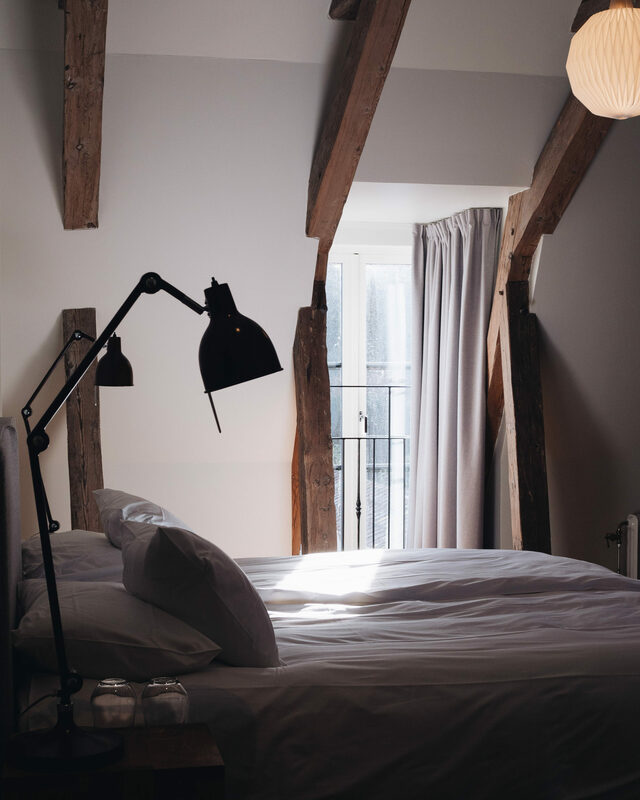 The bedrooms are generous and beautifully decorate with white walls and old beams of the original barn showing it’s heritage. 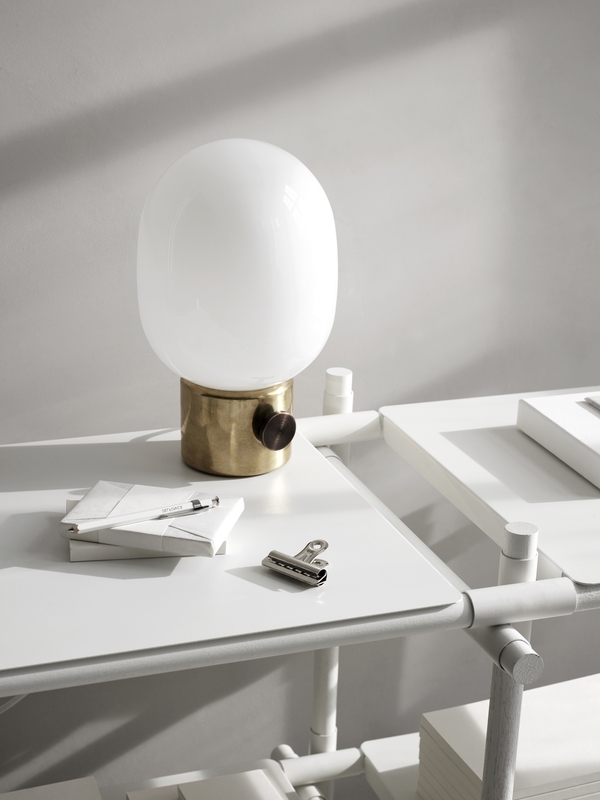 The details are simple and from local artists and designers; the lighting comes from local firm RUBN, and luggage racks, hooks and hanging rails are from local designer Christian Halleröd, who ingeniously used leather from the farm’s cows and oak from woodland on the estate. 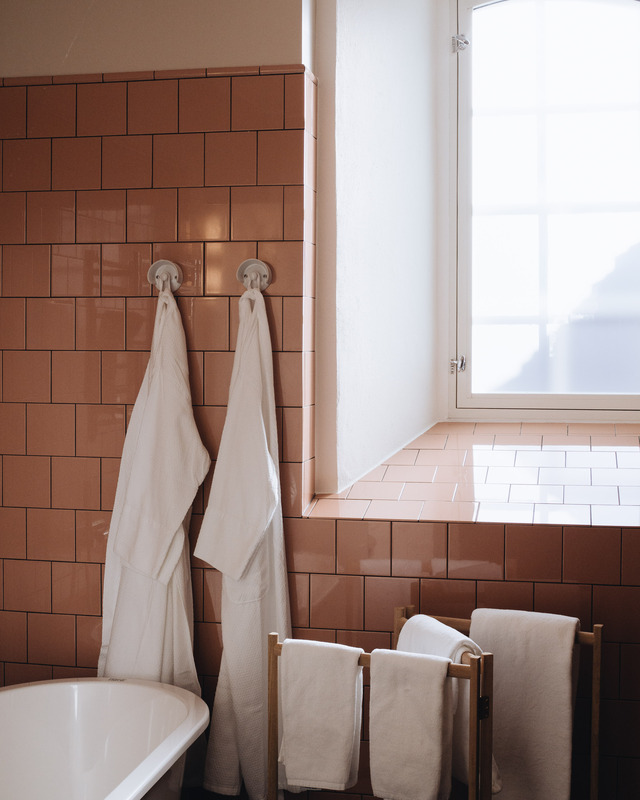 I adored the bathrooms with their unusual peachy coloured tiles and deep brown marble flooring. Again Kristina used a local based company, Ifo, who supplied the bathroom suite. Using local or Swedish based products is an important ethos of Kristina, and I must say I agree. The lounge was my favourite… with it’s sparkling terrazo floor and brass details. Everything shone. Walking across the estate to the restaurant, we welcome to a beautiful cosy space with a roaring fire and twinkling lights. 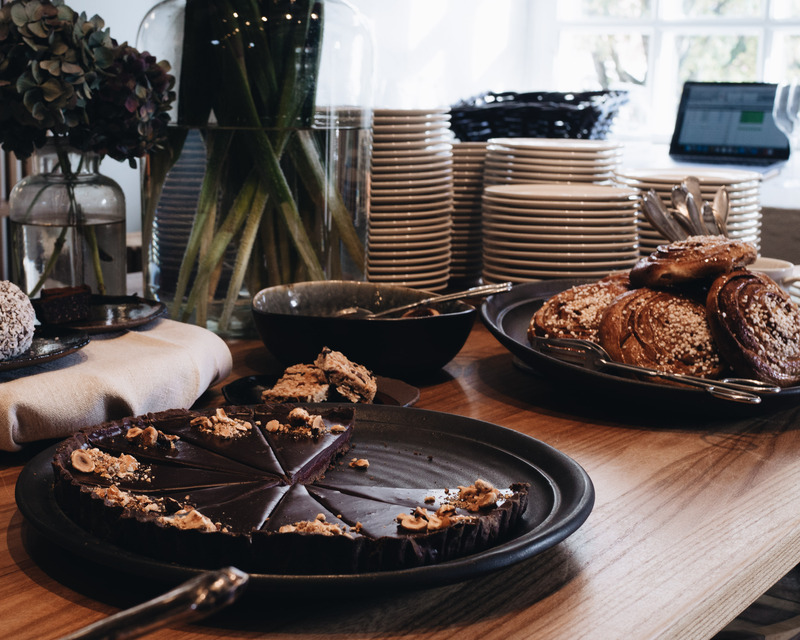 A four course meal of smoked potatoes, beef tartars and forage mushrooms and lamb for main – with a caramelised apple tart for desert. All using local ingredients and most from the estate. After a restful quite sleep in the softest bed, we woke to a gloriously sunny morning. Throwing open the window I could see the estate properly for the first time and couldn’t wait to explore the sculpture park after breakfast. We were served a typical Swedish spread; yoghurt, butter and milk from the farm, home-baked bread, muesli and Swedish coffee. I could have stayed there munching and drinking coffee for hours, but the woodlands awaited us. We met up with the parks press officer who took us around the trail, explaining the pieces and history behind the park. 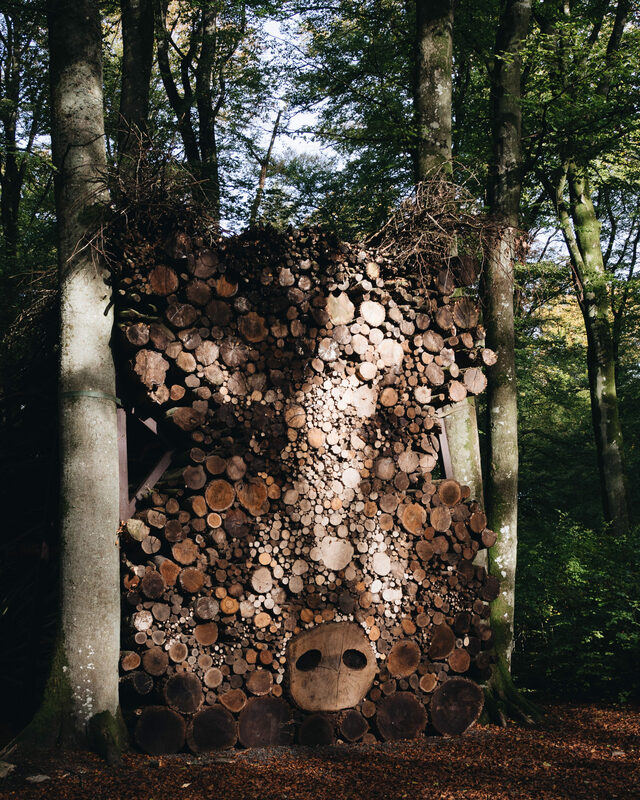 The park contains more than 70 permanent installations are scattered among the trees, crunching through the autumnal beech leaves it was perfect morning to spend in nature and with art. 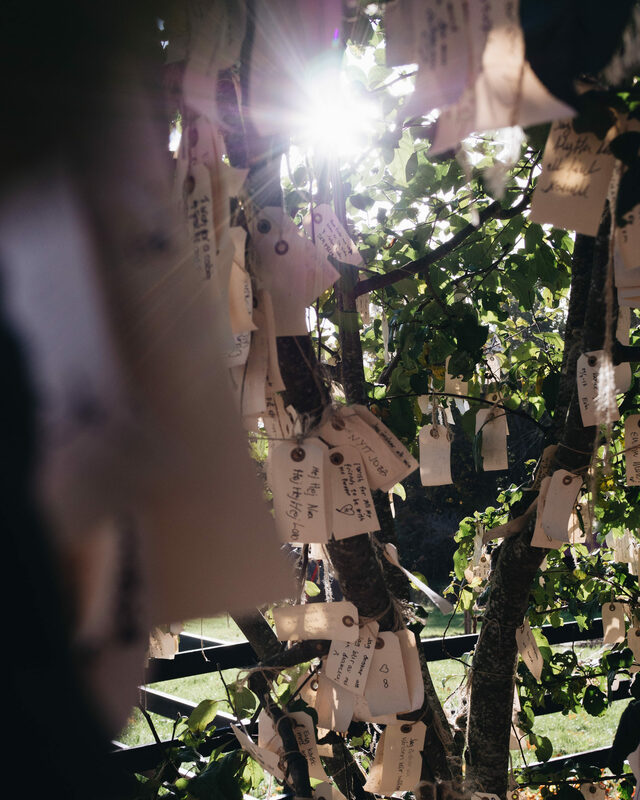 Our first stop was the wishing trees by Yoko Ono, of which I shared my own wish. 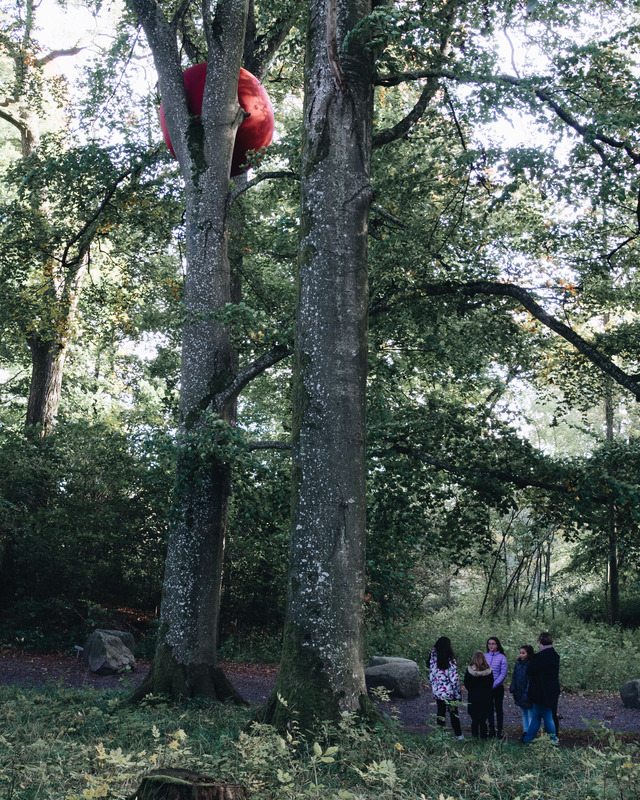 Then into the woods proper we can across a giant red ball lodged in trees by Anne Thulin. 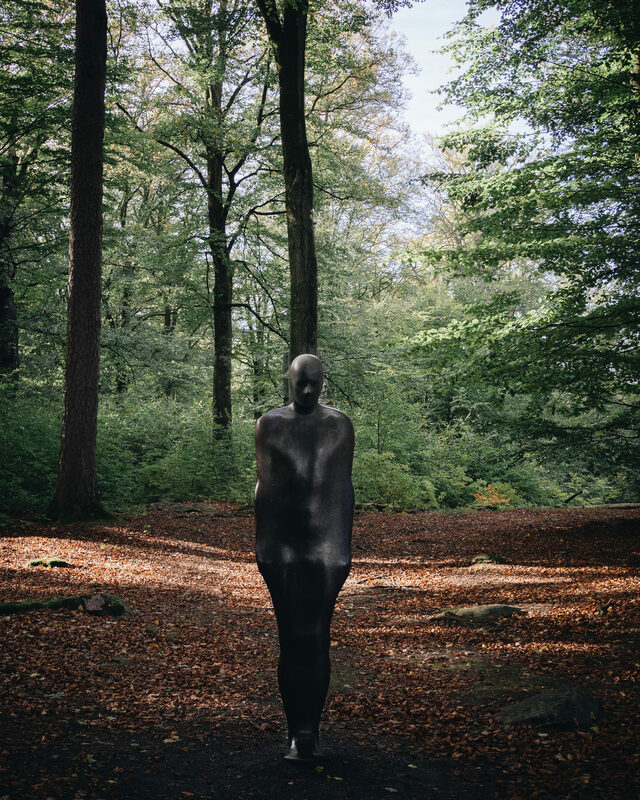 Art pieces by Anthony Gormley and other famous artists, it was the perfect morning. 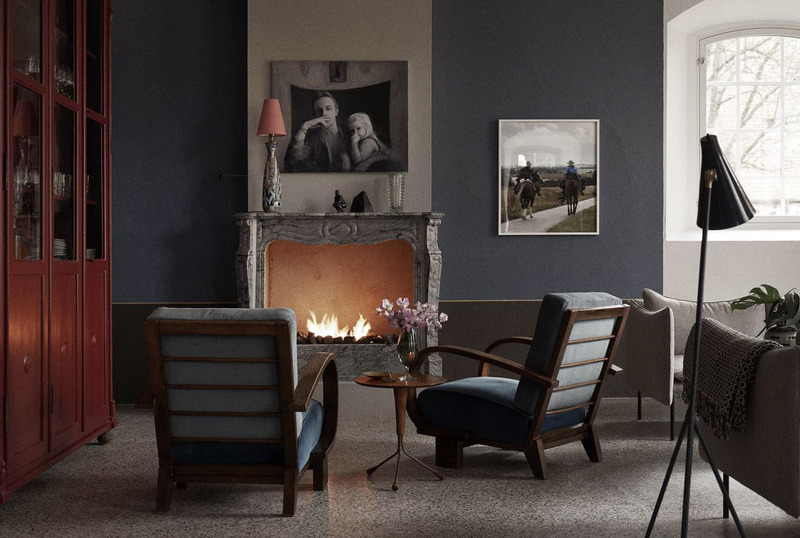 If you do visit Sweden, do make a point of visiting the Wanås Estate, as you will find a very warm welcome, beautiful interiors, seasonal food, contemporary art and nature. Wanås is heavenly and I will return. Collaboration Note: Thank you to Visit Sweden for inviting me to explore the Skane region of Sweden. All words, thoughts and images are my own. This post contains affiliate links, of which I may receive a small amount of commission. Thank you for supporting the posts that make this blog possible.